Figure 1: The account creation wizard helps you seamlessly create an account for the services.mozilla.com sync server. 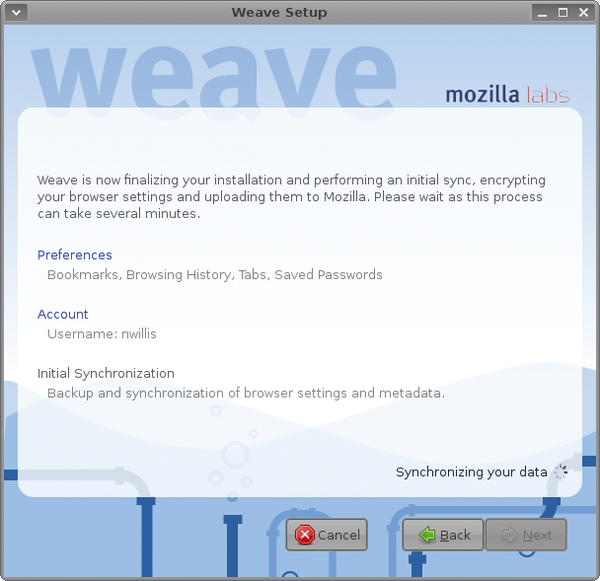 Figure 2: Once your account is verified, Weave performs an initial one-way sync, encrypting and uploading all of the sync data from your browser. 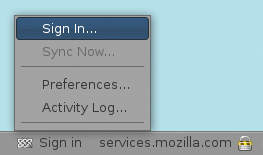 Figure 3: The Weave status bar icon hides a context menu from which you can sign in with your server account, open the extension's preferences, or view the log. 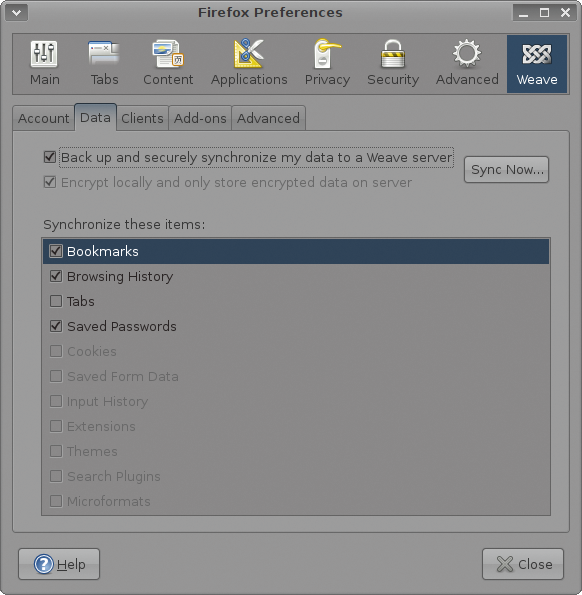 Figure 4: Weave's Clients tab in the Firefox Preferences dialog allows you to keep track of how many browser instances you have set up in conjunction with your account. Because you assign the client names yourself, choose them carefully. 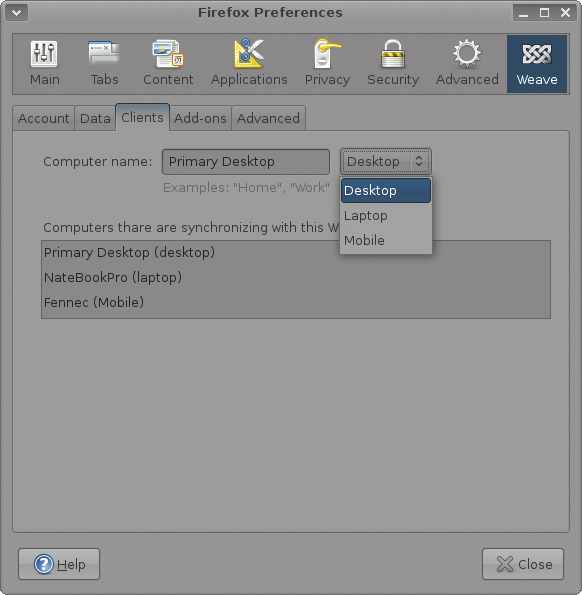 Figure 5: The Data tab of the Preferences panel shows not only which data types you have selected to synchronize but provides a window into what data types could be supported in future versions of Weave. Figure 6: Weave's status bar icon indicates its status. 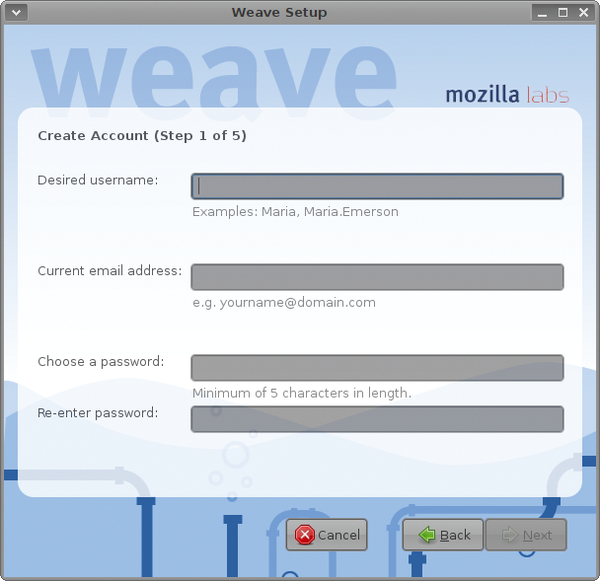 "Sign in" is displayed when you are not logged in to the Weave synchronization server, your username is displayed when you are logged in, and the icon changes from the Weave logo to a spinning sync symbol whenever a sync is in progress.